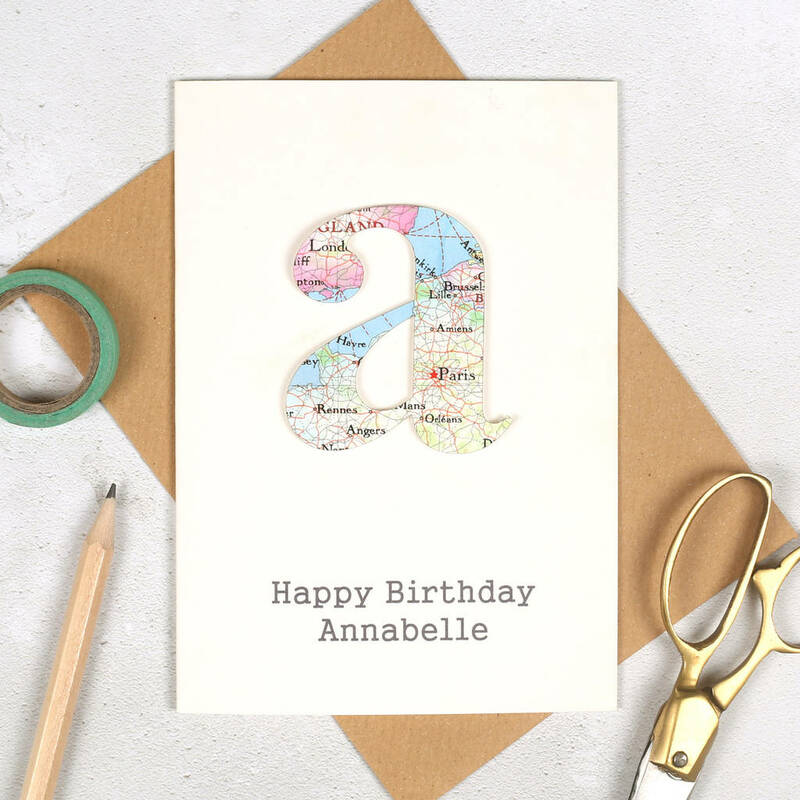 Personalised A5 map letter birthday card. 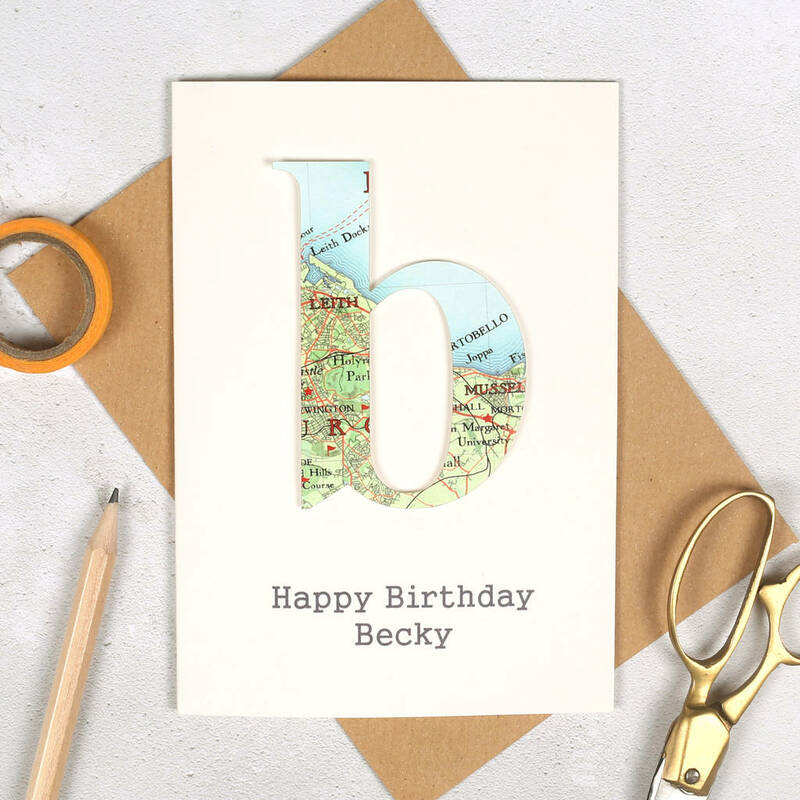 Personalise this birthday card with your choice of map location and message on the front of the card. We carefully hand bond beautiful hand selected map onto card. The map is then pressed and laser cut into shape and mounted onto the cards. All our cards are blank inside for your own message or you can request to personalise this birthday card and we will print the message for you. A special handmade birthday card. 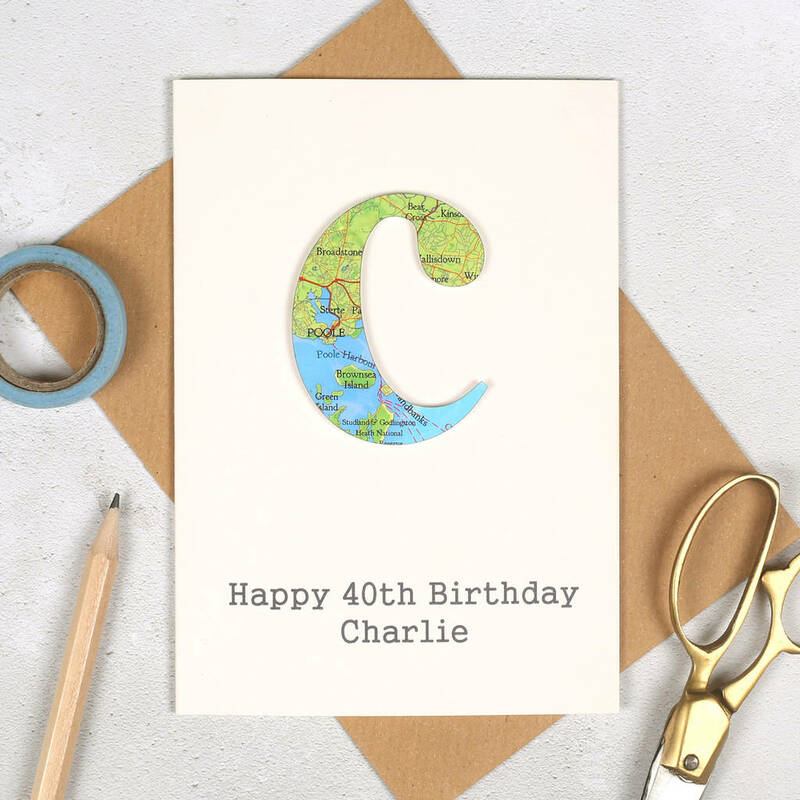 Our signature product, the personalised map makes a perfect personalised gift for a friend or loved one. This birthday card is a mini personalised handmade gift in itself. We have more than 15,000 maps of all over the world in our own collection at any one time, so we're bound to have the location you're after. And on the rare occassion we don't already have it, we'll do our best to source it for you.